Game publisher Bethesda started teasing some sort of announcement related to its Fallout series of post-apocalyptic role-playing games yesterday, going so far as to dupe fans into watching a livestream of nothing but a bobblehead for hours on end. 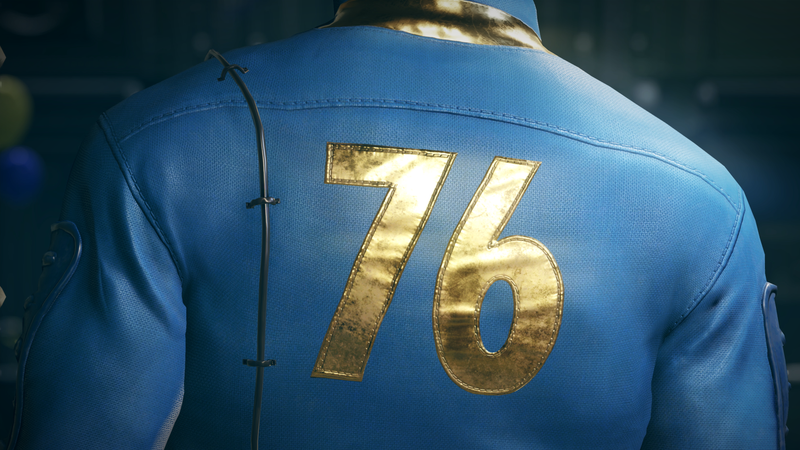 That teaser campaign culminated this morning with the reveal of a new game called Fallout 76. While the company is staying tight-lipped about what this project actually is, between what’s in the trailer and references in past games, there are enough details out in the ether to fuel some reckless speculation. So let’s recklessly speculate, shall we? The trailer looks to take place on or around the day when the vault is opening up. (Although, it appears Bethesda decided to retcon the timing a bit, as the trailer clearly shows what we’re seeing is taking place 25 years after the series’ nuclear war, not 20.) The camera sweeps through the facility, which is littered with the aftermath of some big celebration and a giant poster mentioning “Reclamation Day,” likely the day the door to the outside world is scheduled to open and the vault dwellers can start to rebuild society. That mission is laid out plainly on a TV earlier in the trailer. We see what appears to be the vault’s unveiling ceremony from 2076 and some politician or Vault-Tec executive telling the crowd, and likely the people who’ll be living in Vault 76, that “when the fighting has stopped and the fallout has settled, you must rebuild.” The trailer ends with a vault dweller, looking not unlike the series’ many playable character in their blue jumpsuit, strapping on a pip-boy and seemingly getting ready to head out into the wasteland. So what does it all mean? For starters, whatever Fallout 76 turns out to be, it’ll take place well before the events of every other game in the series and things are bound to be even more decrepit and dangerous than we’re used to. And with all the emphasis on “rebuilding,” it seems likely that some of Fallout 4’s experimentation with base construction and management will be carrying over. On our sister site Kotaku, reporter Jason Schreier mentions he’s heard Fallout 76 is an online game of some sort and that fans shouldn’t expect the big singleplayer RPG of usual Fallouts. That also seems to fall in line with the implications of the setting, which is ripe for some sort of survival and base management game. So maybe it’s worth recalibrating your expectations for something less like Fallout: New Vegas and more like Rust lest your dreams be dashed when Bethesda gives the game a full reveal during its E3 showcase on June 10.